Much changes within this second solo outing for Sir Edward Grey, Witchfinder. 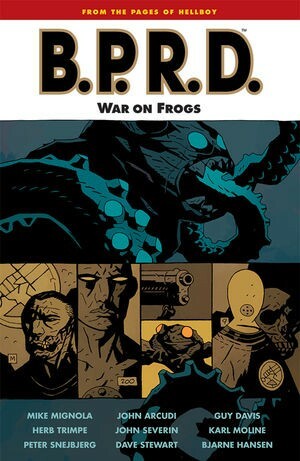 Writer Mike Mignola is joined by his B.P.R.D. 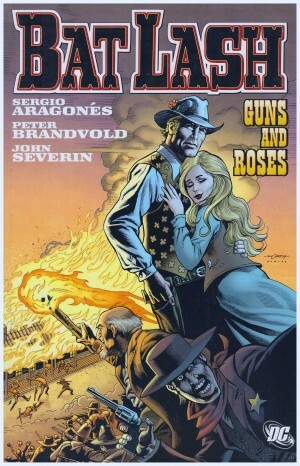 collaborator John Arcudi, veteran artist John Severin takes over the illustration, and the setting transfers from Victorian London to the rugged Wild West of Utah. Grey is searching for a missing British nobleman, but receives short shrift when enquiring in the town where he was last seen. Significantly the town church has been burned down, another matter on which Grey receives no response to his enquiries. Mignola and Arcudi introduce quite the rag tag cast from that point. There’s experienced hunter Morgan Kaler, accompanied by his simple prank-loving friend Issac, and the local Paiute tribe have fallen under the spell of the glamorous blonde Bris, believed a witch by some. Kaler extricates Grey from a potentially fatal situation, but is hardly one for offering soft comfort. “Whoever the hell you are, you lit the fuse on this night all by yourself”, is his assessment of Grey’s culpability in not taking “no” for an answer. Theirs is a peculiar companionship, with Kaler the more sympathetic character, Grey perpetually impassive, stoic and, yes, dull. 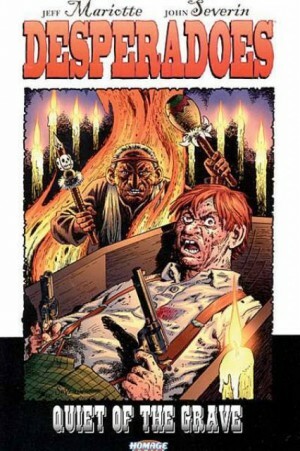 If you’re going to revive a dead genre along with dead men, then there’s no-one better qualified to illustrate it than John Severin. 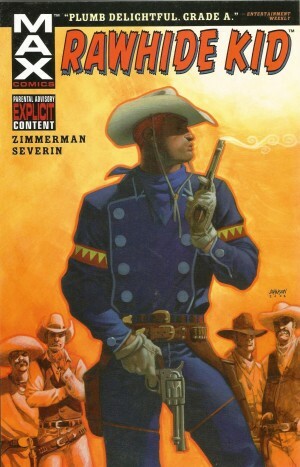 There’s barely been any Western of note since the 1980s with which he hasn’t been involved, and back in their heyday Severin drew thousands of Western pages. One might imagine his enthusiasm dimmed somewhat, but if that’s the case there’s not the slightest hint of it in his pages. 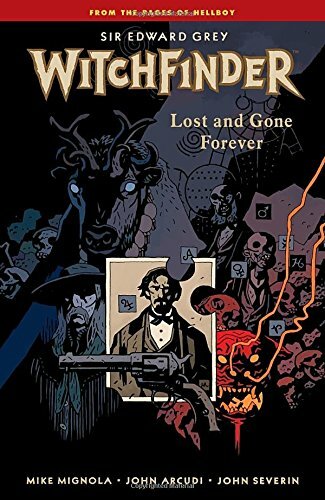 His craggy characters inhabit suitably distressed town environments of the era, the dust from his landscapes reaches your eyes and when the plot calls for a demonic looking dog, Severin delivers a doozy. At one point he’s called on to illustrate the verdant delights of paradise, and you’ll want to praise the Lord and pass the tambourine. The new setting ensures Lost and Gone Forever is very different in tone from In the Service of Angels in one respect, but there’s little more in the way of dynamism. Grey is a dry and passive character, always led, there’s no great motivation for any of the cast other than him, and help is too conveniently on hand whenever required. 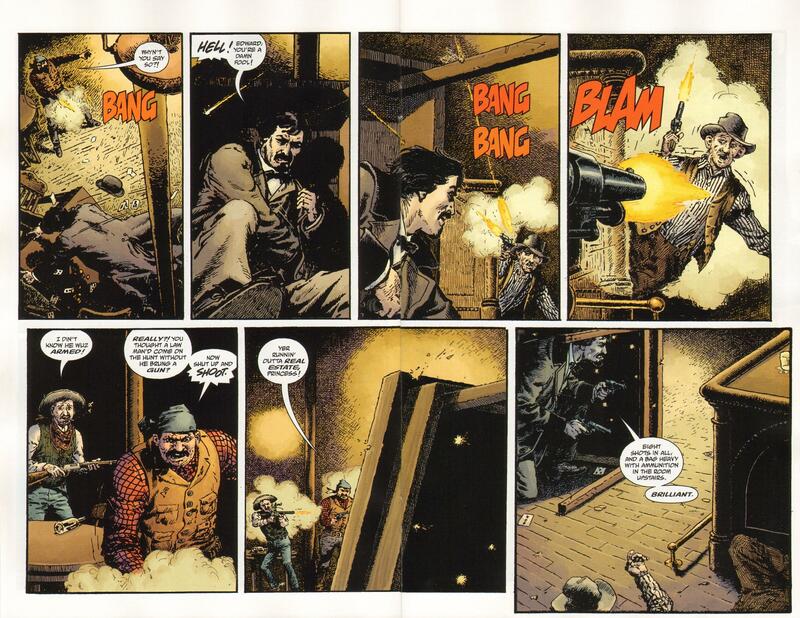 Severin is fantastic, but this doesn’t match Mignola’s other supernatural creations. The series continues with the better The Mysteries of Unland.